SSA receives information from the public, Social Security and Disability Determination Service communities, medical and scientific experts, the National Institutes of Health (NIH), and from past public outreach hearings regarding potential CAL conditions. Would you like to submit a potential Compassionate Allowances (CAL) condition? Visit the Submit a Potential CAL page for additional information. 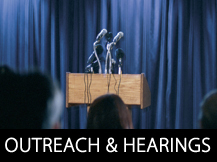 SSA held seven CAL public outreach hearings. 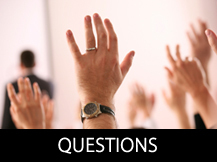 We work with organizations by participating in teleconferences, webinars, and various meetings. Our goal is to educate the advocacy community and its members on the CAL initiative and Social Security’s disability programs in general. Compassionate Allowances are a way to quickly identify diseases and other medical conditions that, by definition, meet Social Security's standards for disability benefits. These conditions primarily include certain cancers, adult brain disorders, and a number of rare disorders that affect children. The CAL initiative helps us reduce waiting time to reach a disability determination for individuals with the most serious disabilities. 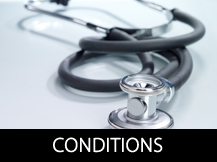 The Compassionate Allowances program identifies claims where the applicant’s disease or condition clearly meets Social Security’s statutory standard for disability. By incorporating cutting-edge technology, the agency can easily identify potential Compassionate Allowances to quickly make decisions. Social Security Administration (SSA) uses the same rules to evaluate CAL conditions when evaluating both Social Security Disability Insurance (SSDI) or Supplemental Security Income (SSI) programs. SSA receives information from the public, comments received from the Social Security and Disability Determination Service communities, counsel from medical and scientific experts, research with the National Institutes of Health (NIH), and information received from past public outreach hearings regarding potential CAL conditions. For more information on how to submit a potential CAL condition to SSA visit Submit the Name of a Condition for Consideration.